Click here for FACTS online Payment or to create a FACTS account. The links above made available to you through the St. Genevieve High School website will allow you to leave our site to an external website. Please be aware that the Internet sites available through these links, and the materials that you may find at those sites are not necessarily under the control of St. Genevieve High School. Therefore, St. Genevieve High School cannot and does not make any guarantees to you about these external sites or the materials available on the sites. You will need Adobe's Acrobat Reader to view or print this file for download. Saint Genevieve High School is grateful to all parents/students who take their financial obligations seriously and meet them in a timely manner. For the school to meet its financial obligations, it is necessary that tuition and fees be made on time. Examination permits, grades and diplomas may be withheld if all financial obligations are not cleared. The school may also deny the privilege of attending the prom and/or graduation. The school reserves the right to withhold tests and diplomas until all financial, scholastic and disciplinary obligations have been met. A student may not take Mid-Term or Final exams unless tuition is current. Quarter and Semester exams must be made up within three school days or an “Incomplete” grade becomes an “F”. If the account is delinquent for 30 or more days the student may not attend school or participate in school events as spectator or participant. In the event of financial crisis, seek assistance at the Business office at least five days prior to your payment due date. The school may also deny the privilege of attending the Prom and/or Graduation if tuition and fees are not current. The school reserves the right to withhold transcript and diplomas until all financial obligations have been met. There is a $25.00 penalty for check returned by the bank, as Non Sufficient Funds. Money orders will be required for all future payments. There is a $30.00 penalty for all payments that are made (10) days after the due date. This includes payments returned due to Non Sufficient funds. 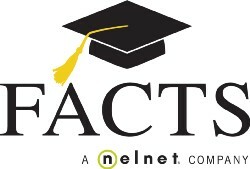 Tuition collection is is managed by: FACTS Tuition Management. Tuition and fees provide a limited percentage of the total cost of operating the school. Fiscal responsibility requires that tuition and fees be paid as set and in a timely manner. In addition to our own Scholarship awards St. Genevieve High School participates in the Tuition Award Program, funded annually from the Education Foundation through the Department of Catholic Schools. If financial assistance is needed, forms may be obtained from the Main Office. Forms are available in January and due in March.